Buying lip products is probably my biggest make-up habit. Five out of my twelve drawers are taken up by lipsticks, glosses and crayons. 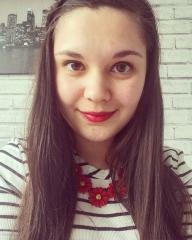 Nowadays I tend to go for a matte lip; however, most of my lipsticks are in dark colours. 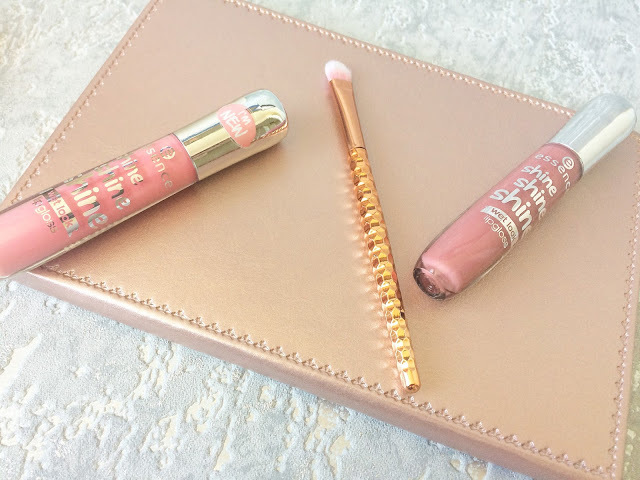 As soon as I see pink lipgloss, it instantly screams summer to me! Glossy lips will always hold a soft spot in my heart. I love how they makes your lips look bigger instantly and I always feel like they add an extra girly touch to any outfit! Up in Newcastle last week, I found an amazing array of Essence products in Wilko, bigger than the display in my local one in Hull! I’d already spent way too much money but I found myself looking at some of the newer items. 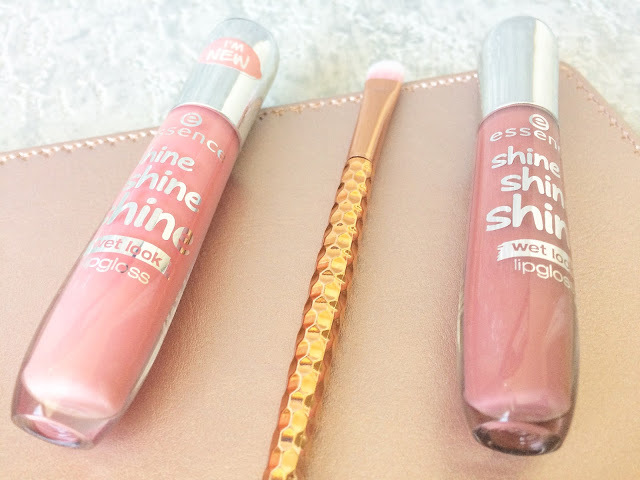 I came across these gorgeous Shine Shine Shine Wet Look Lipglosses and was instantly sold! My first impressions are pretty positive. 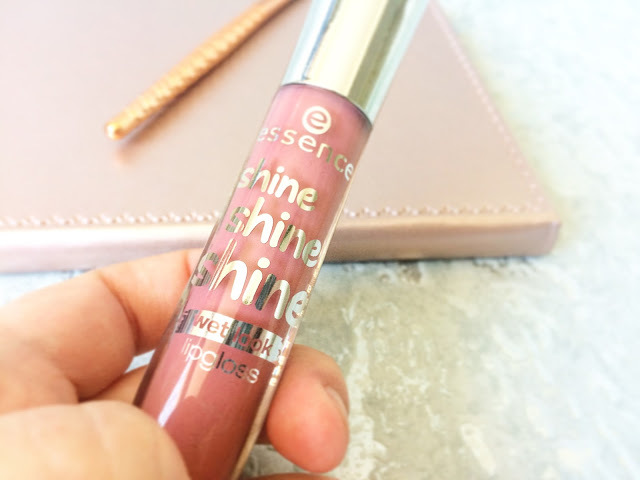 I never expected a long-lasting, highly-pigmented gloss. The applicator itself is right up my street; it’s quite wide which means it doesn’t need as much product on it to fill my lips. I won’t lie, it doesn’t last that long, a couple of hours tops. However, like I said before, I didn’t expect incredible quality! Indie Romance (shade 08) is a gorgeous light pink colour. 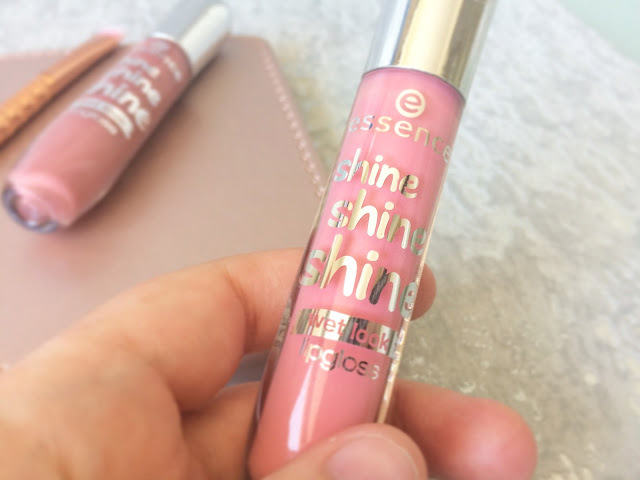 It’s incredibly sheer when applying, almost transparent but it’s great for days when you just want a bit of a sheen to your lips! 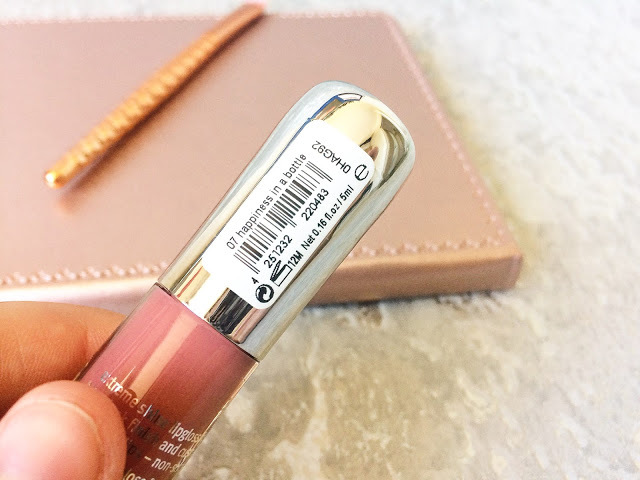 Happiness In A Bottle (shade 07) is a deeper pink colour. ; more pigmentation but still sheer. This shade is universal; it would suit all skin types for sure! I will give it to Essence, they have improved on the packaging and have the cutest names for some of the products! For £2.00 each, I might be on my way back to pick up the rest of the 13 in this range. I won’t lie, they’re not the highest quality I’ve ever found. They don’t last that long, they feel a bit sticky and they transfer a little. However, they are so affordable, have a decent tapered wand and are great value for money! 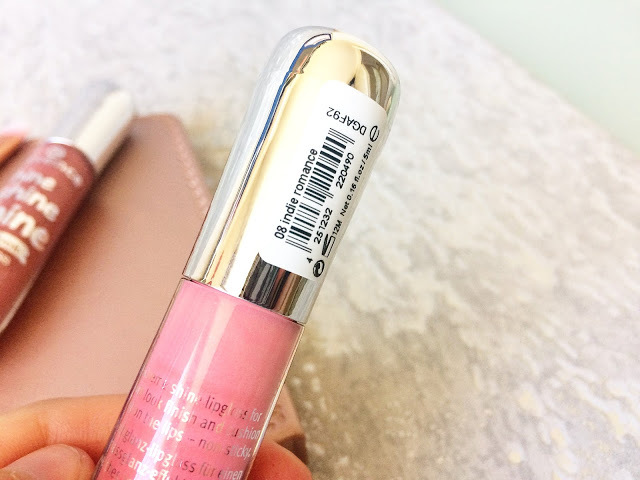 What’s your favourite lipgloss? Leave me a comment below!